When it comes to finding temporary living accommodations for your vacation stay in the Finger Lakes region there certainly is no shortage of choices. Many vacationers coming here for a visit automatically browse through numerous hotel listings, because that’s what people going on vacation typically do. But, if you’re a budget-minded person who relishes the idea of living in luxurious surroundings during your stay here, you should seriously consider switching from the usual hotel accommodations to Finger Lakes vacation rentals. Most of the hotels in this area are centered in cities. You’ll be dealing with all of the noise and traffic that goes with being located smack dab in a busy area. Depending on your stress level, this may or may not be ideal. Consider for a moment the peaceful serenity of a small village nestled near a glistening lake. Imagine residing in a vacation rental in the midst of small town America. The pace is slower and the air is breathable to the point where you wish you could bottle it up and take it back with you. Townspeople are courteous and friendly. When you go out for a walk you can stroll around without being jostled or treated rudely. It’s easy to relax, blend in and just be one of the locals when you rent a vacation home in a small town. Most hotel rooms don’t give you much living space to move around in, regardless of how much it cost to stay there for one night. Even if you manage to book a fairly nice luxury hotel suite, there is no way it compares to the kind of roomy accommodations available in a real home. Luxury vacation rental homes provide you with ample space to move from room to room so that you don’t feel cramped, unless you prefer shoebox living. Vacation homes have living rooms, dining rooms, kitchens, bedrooms, bathrooms and plenty of storage space for your luggage. A Finger Lakes vacation luxury home provides you with a higher level of privacy than hotel rooms. You have more freedom to do your own thing without worrying about complaints from guests in nearby rooms. This makes this type of rental a great choice for anniversary, birthday and wedding celebrations. When you compare hotels to Skaneateles vacation home rentals and look at things such as room space, meals, amenities and location, it’s plain to see that renting a vacation home is a wise choice for your budget. Dollar for dollar you simply get a much better experience for your money while staying in rental homes. Just being able to prepare your own meals like you do at home saves you a bundle in restaurant meal costs alone. Plus, there’s the added benefit of living near some of the Finger Lakes most scenic views. 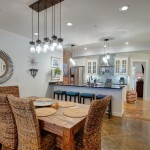 Take a look at these chic modern Skaneateles luxury rentals and book your affordable luxury vacation today. As a brisk November wind swirls through the air, hearty visitors to the Finger Lakes region are never at a loss for entertainment. If you are looking for ways to shake off the chill, there are plenty of opportunities to warm up while enjoying the local scene. Visit one of our famed Finger Lakes wineries and taste local varieties. Watch a musical that keeps your toes tapping. Eat to your heart’s content on Thanksgiving Day. 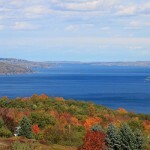 You can do all this and more while staying at one of our luxurious Finger Lakes vacation rentals. Kick off the holiday season at this mouthwatering festival featuring the best sparkling wines and dessert wines produced by Swedish Hill Winery. All wines are paired with a delicious dessert, which makes this event all the more irresistible. Pick up gifts and stocking stuffers for family and friends at the gift shop – many items are on sale, and you’ll find some great bargains. Event is from 9am to 6pm. November 7. Mike Epps is truly the real deal. This actor, comedian and rapper performs his hit stand-up routine for fans around the country. Epps has acted in numerous comedy films and plays a leading role in “Survivor’s Remorse,” a Starz series produced by LeBron James and Mike O’Malley. Get ticket information at rbtl.org. November 7. If you love the music of Motown, you must catch this amazing musical show that pays tribute to all the classic Motown hits you love. This is one show that is sure to make you move and groove to the beat as you watch and sing along. Ticket information is available at rbtl.org. November 10 to 15. Yes, wine tours happen in November and you can experience the joys of learning all about Finger Lakes wine while tasting it by going on this wonderful tour. Visit several wineries along the tour route and meet the interesting folks who make top-rated wines. 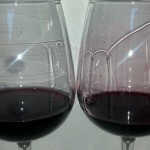 This tour package includes wine tasting, lunch, food pairings and transportation. Price: $145 per person. Reservations: 607-233-4814 (M-F). November 14. 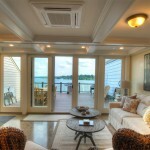 Our Skaneateles Lake luxury vacation rentals are conveniently located within easy driving distance of the tours. Bring the whole family to see this joyous celebration featuring everyone’s favorite Sesame Street characters. Big Bird, Elmo, Cookie Monster, Grover, Bert, Ernie and others bring live stage magic to children of all ages. For ticket information go to: rbtl.org. November 20. Celebrate Thanksgiving with family and friends while enjoying a delicious full buffet featuring roast turkey, roast beef, glazed ham, stuffing, sweet potatoes and much more. Adults: $19.95; Children 5-12: $9.95; Kids 2-4: $3.95 and free for kids under 2 years. Reservations recommended. Call: 607-734-0402. November 26. Stay warm and enjoy lots of comfortable amenities at a cozy Finger Lakes vacation rental. Book your perfect rental home today.